PHILIPPINE club football enters a new era with the launching of the Philippine Premier League (PPL) with organizers hoping to have eight teams when the season starts in March. 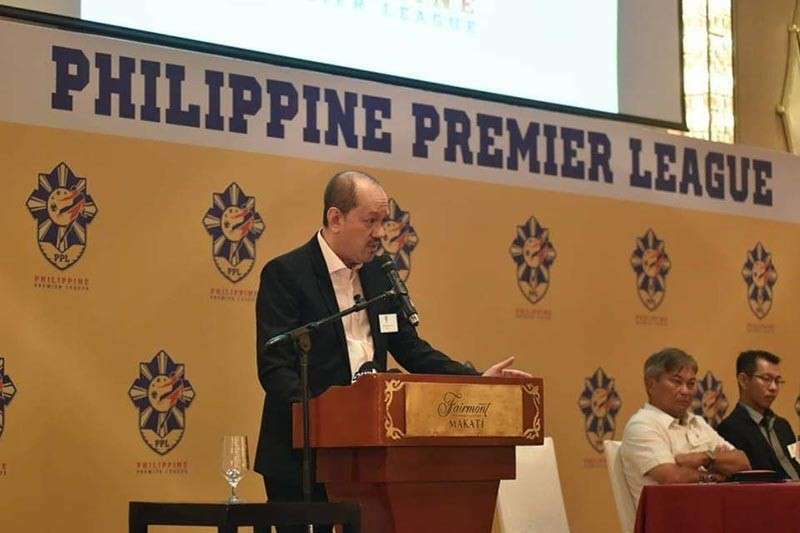 The league, which will replace the Philippine Football League (PFL) as professional league in the country, will have its games primarily in Manila and won’t be purely a home-and-away format. “We believe this is a new dawn for Pinoy club football,” said Bernard Sumayao, the PPL commissioner, during the league’s launch in Manila last Jan. 23. The Philippine Football Federation (PFF) has given the Sumayao and the PPL Sports Group Inc. the rights to operate and market the league. “A vibrant domestic league is important for the growth of the game and we think the PPL has what it takes to succeed. We are all very excited,” said PFF president Nonong Araneta. Unlike the PFL, the PPL will have ESPN5 as its TV Partner and the station has promised to air at least 23 live matches. PPL said 11 clubs have expressed interest in joining the league, but it will only target eight clubs in its maiden season. Among those who are confirmed to join are PFL champion Ceres Negros, Copa Paulino Alcantara holders Kaya-Iloilo and Stallion Laguna. Green Archers United Globe and the Philippine Air Force are also expected to join. The fate of Global Cebu, whose players have lashed at the management for non-payment of salary, is unknown. Sumayao said the league intends to have provincial matches later in the season. “We intend to have fan engagement activities during our matches. We want PPL games to be a fun experience for everyone in the family,” said Sumayao.